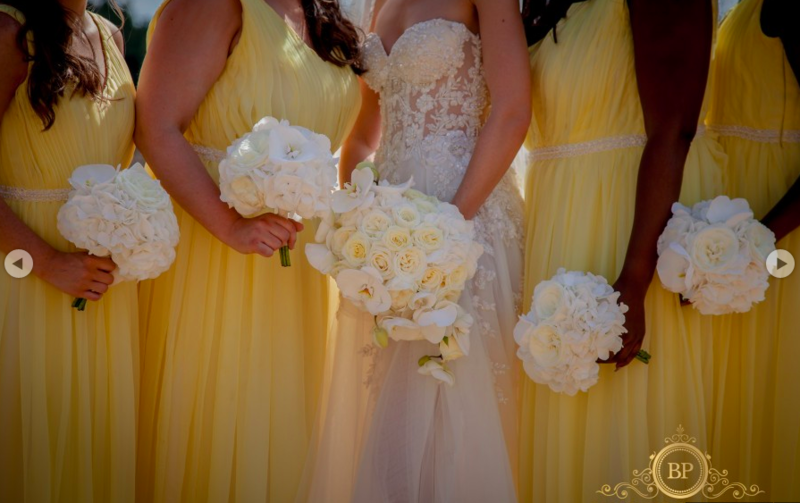 I was contacted by my client Jennifer who was looking for very specific bridesmaids dresses. 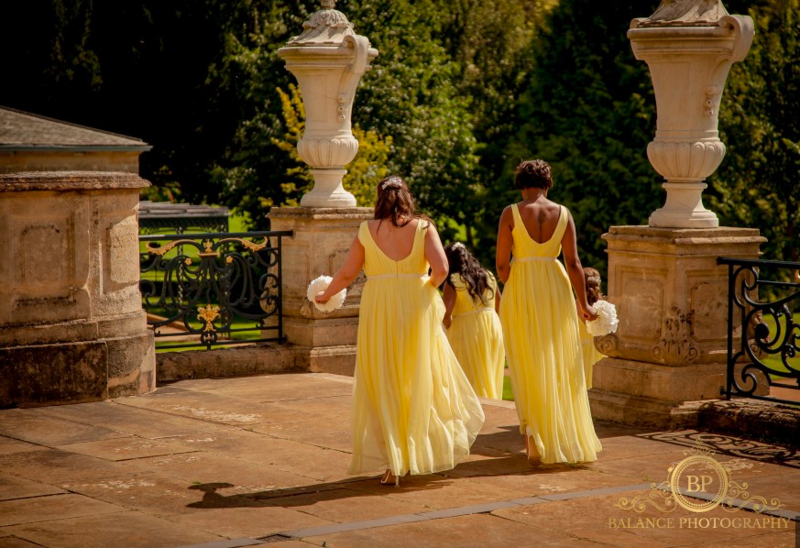 Her bridesmaids included four wonderful women who varied in height and shape, so it was essential that the chosen dress would flatter and suit everyone. 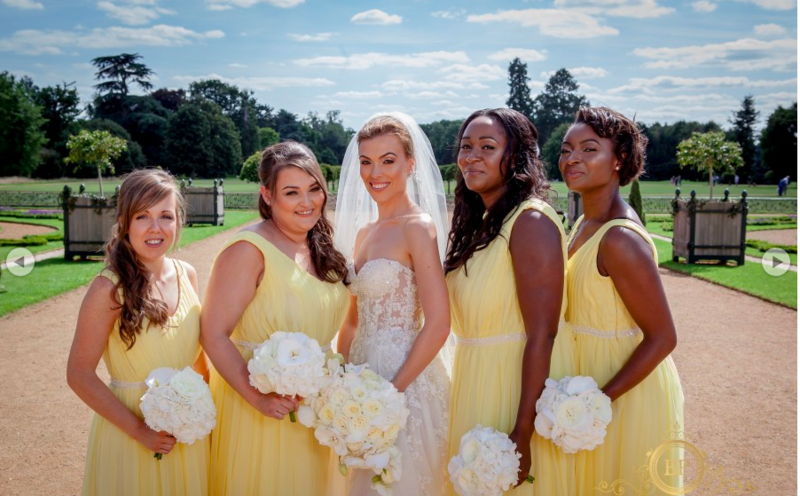 Furthermore, the colour scheme for her wedding featured a very delicate lemon, which also needed to complement her bridesmaids’ skin tones. 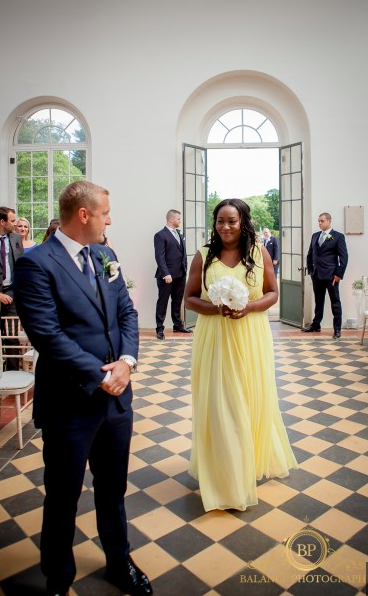 I sourced a beautiful silk chiffon in a buttermilk colour, which when placed over a lightweight gold satin crepe, almost glowed and looked beautiful on all Jennifer’s beautiful bridesmaids. Jennifer’s brief for the design of the dress was to be soft with elements that would flatter and define the waistline for each bridesmaids. 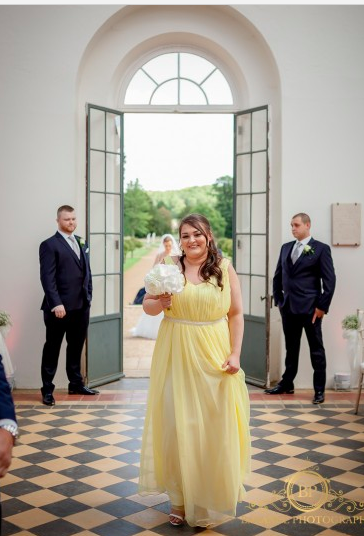 I designed the dress to feature soft pleating on the bodice with a gathered skirt that created a stunning, flowing skirt. The waistline was defined by a beaded trim band that matched the beading on Jennifer’s own wedding dress. I enjoyed working with Jennifer and her bridesmaids so much, they were such an incredibly warm, kind group of women. We met for several fittings to ensure everyone was happy with the fit and I was very mindful to take in each of their requirements or concerns about their bodies. 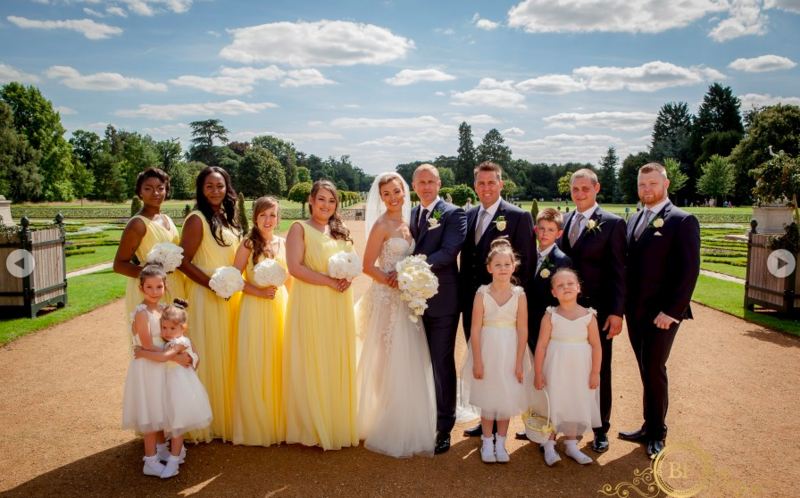 The end result was stunning and the dresses glowed in the lovely sunshine on Jennifer’s beautiful wedding day.